*Gas around Miami at slow speed included. 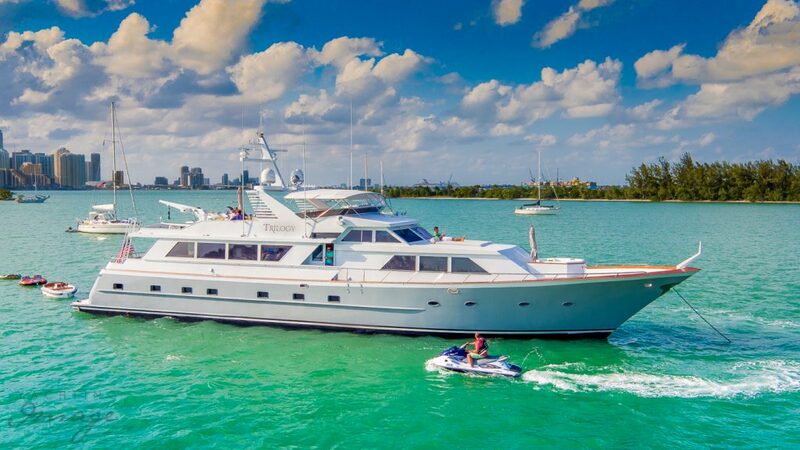 The mega yacht Broward 103 ft is the perfect example of a classic mega yacht with the modern refinements of a 2015 total refit. For full day charter only, this boat can accommodate up to twelve guests. For multi day charter, up to six guests in 3 cabins plus up to 4 crew can be accommodated. This boat is specially suitable for touring the Florida Keys, South Beach, and the Miami shoreline in comfort and style also the bahamas. Large sunbeams (sunpads) on the deck are located to the front and the rear of the boat to showcase the beautiful ocean views. Large Jacuzzi at the bow.